I realize I never started a thread in here for my Byblis. Granted up until recently I only had the common B. liniflora, but now that I have 3 species growing for me I think it's worth it to start posting. 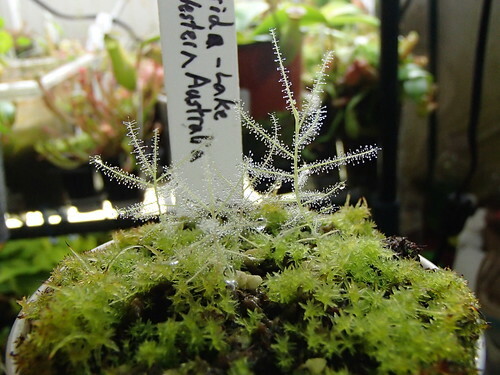 Today, a pic of my B. rorida "Lake Campion, W. Australia" that have just recently sprouted and are taking off. I also managed to get B. guehoi to sprout, but no pics yet.. Since this pic was taken they've doubled in size and blushed red with the direct sun they get at this time of year. 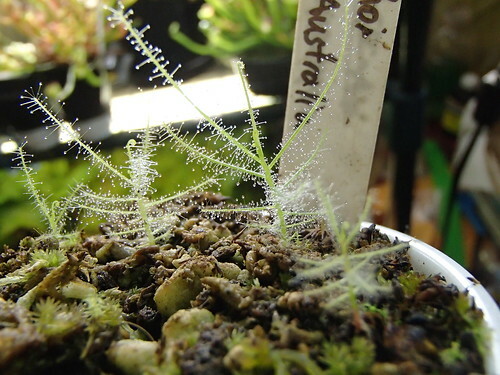 Are you able to grow your Byblis liniflora as perennials? 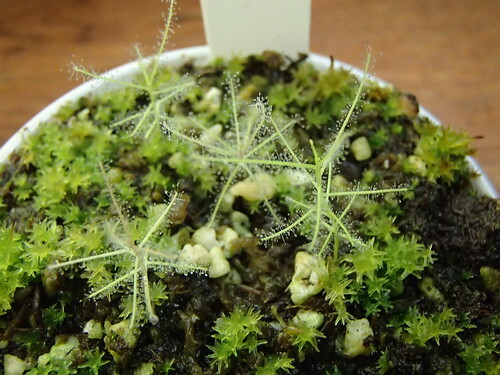 I'm really excited to see the differences between there and Byblis liniflora. liniflora seems to be very root prone, is that true for you also? Root prone? Not sure what you mean by that. Tanukimo, I can't say I grow them as perennials, as any one plant never lasts for more than a year for me, but they do last well after their first round of flowering and I always get new seeds to sow from. Do they die during the winter or about a year after you sow them? I'm growing liniflora too and I'm worried it will die once the weather gets colder but it is still alive right now. 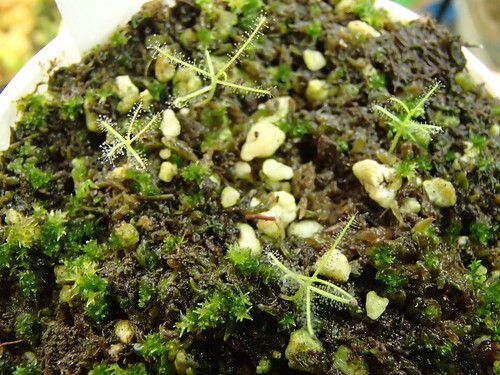 coline, I transplanted seven seedlings when they appeared in my Utricularia dichotoma pot into a larger pot and only two survived. They were less than an inch tall at that point. I've never tried to move them since moving them into their permanent pot. 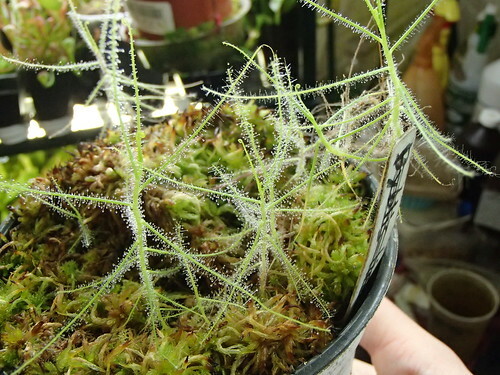 Yes, Byblis hate root disturbance, so once they sprout, that's it. Try and move them and they'll die. Hope at least one of them don't die this time, else, it means to get more seed and make the 3rd attempt..
Not entirely true. I've repotted Byblis guehoi and Cindy Chiang's B. 'Goliath' × guehoi hybrids up to flowering size and the plants lived on to flower. 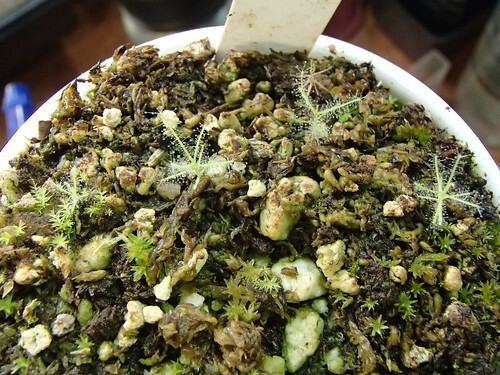 I germinated them in cups of sand and peat moss and transplanted the seedlings into individual pots of straight long fiber sphagnum moss. This is the same protocol that Cindy was using. I was being generalist. There are ways to do it, but for most it would be a hassle and won't end well. This time for mine seems at the moment that they have survived, and they were just kind of carefully picked with a little tweezer with some of the LFS medium around them. Any one here ever successfully germinated B. gigantea? I just sowed a bunch of seed I got from the Czech Republic after soaking them in water with Seed Primer smoke discs. I've tried doing the little fire thing on pots with no results. Never had a chance with that species (maybe one day). The only method I've used with success on the harder species is the bleach treatment, partly because I'm too lazy to go out and find things like smoke discs. But if it works, well, it works. B. rorida Lake Campion. tallest plant now is nearing 3", and I have a couple new sprouts too. B. guehoi is still behind, but is catching up quickly.